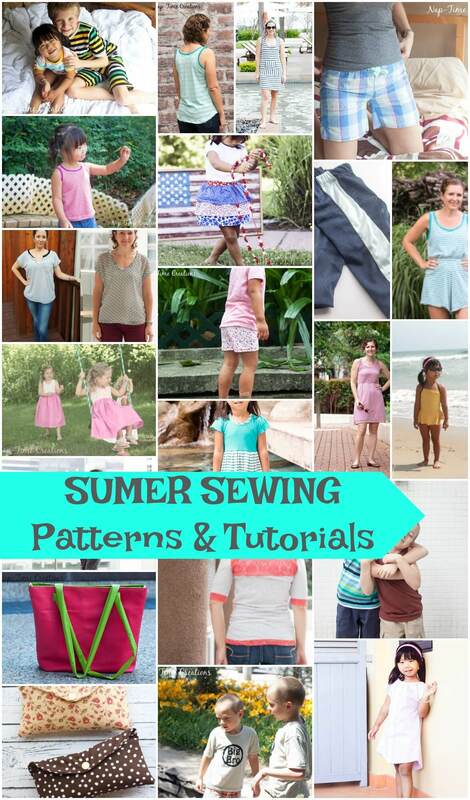 There’s pretty much nothing better than summer projects and sewing tutorials. So light, so fresh, so colorful… and today’s post SO fruity!!! 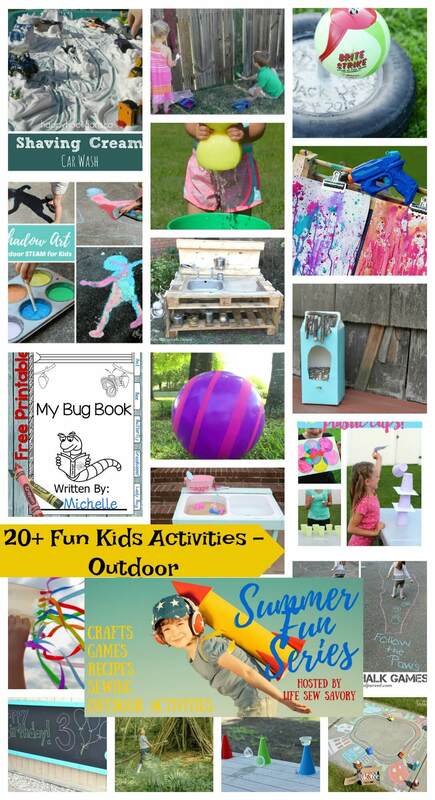 I had a blast putting this post of DIY and sewing summer projects, I hope you will love each one as much as I do. Okay, so I’ve harvested all the fruit projects and sewing tutorials that caught my eye and put them here, ripe for the picking. Make your summer sewing projects even more fun with these Fruit Sewing Pin Tops by Snuggle Bug University. 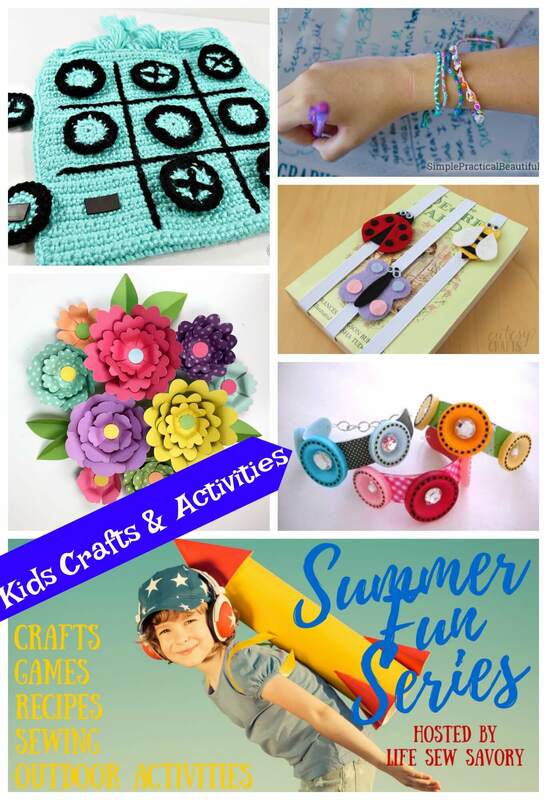 Clay pin tops make ordinary sewing delightfully summery! I adore these Fruit Striped Skirts from Skirt as Top… can you guess what fruit each skirt represents? These Fruit Slice Pattern Weights sold by Procraftinate Parlour are actually for sale, but if you are good with clay I bet you could make your own pattern weights like these. Turn any dress into a summer party with this Pineapple Pocket Tutorial by Me Sew Crazy.. adorable! Heading to the store? Shop in style with this Wavy Market Bag Tutorial from Pattern Pile. This portable sewing kit is just adorable. You can buy the Apples and Oranges Sewing Kit – By Straight Stitch Society as the pattern and sew it yourself. These Felt Fruit Pouch on Joanne.com blog are similar to the purses only made from felt. I just love these Fruit Coasters from Purl SOHO. So many ways you could customize this project and it would be such a fun way to add color to your picnic table. This DIY is a fun one! Check out this Pineapple Shaped Bathmat Tutorial from Dream Green DIY – make it by putting two mats together… genius! This is an adorable project for kids – thePineapple Backpack from Make-It Love-It looks like an easy and fun sew. 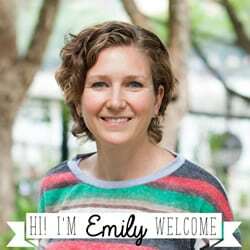 Like to work with yarn? Check out these Crochet Fruits Pattern on Raverly. OK! This seriously is the cutest!! I love these painted Fruit Slice Umbrellas tutorial by Studio DIY – I would want it to rain all the time, just so I could use these amazing umbrellas. 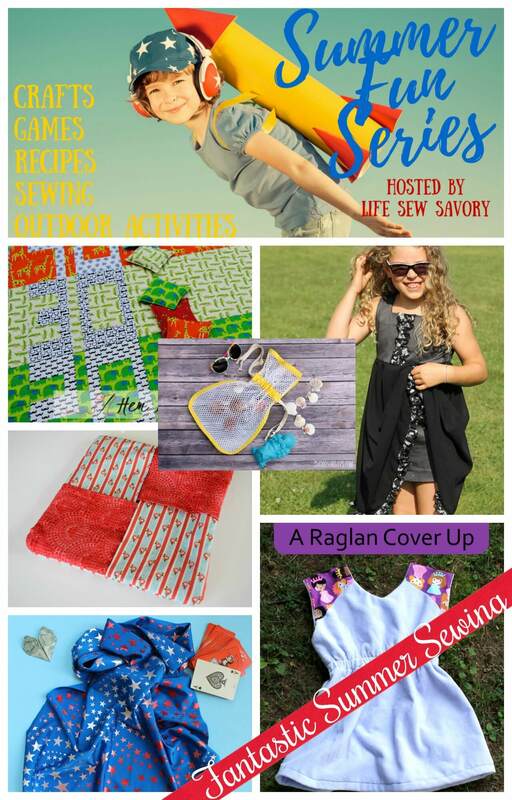 Want to sew some patterns with fruity fabric? Here’s a great selection of Summer Fruit Fabric for sale on Spoonflower. This lunch bag may be just the project for my kids and I before school starts. See the Fruit Stamped Lunch Bag by Hello Wonderful. Made from drop clothes and paint with just a bit of sewing on the edges, these Drop Cloth Fruit Blankets by Brit and CO are a project I HAVE to make soon. Here are a few more 20 Fruit Inspired Fabrics from Me Sew Crazy. And finishing up with these lovely Citrus Earbud Pouch by Flamingo Toes. Functional and adorable I think I need these. OKAY! 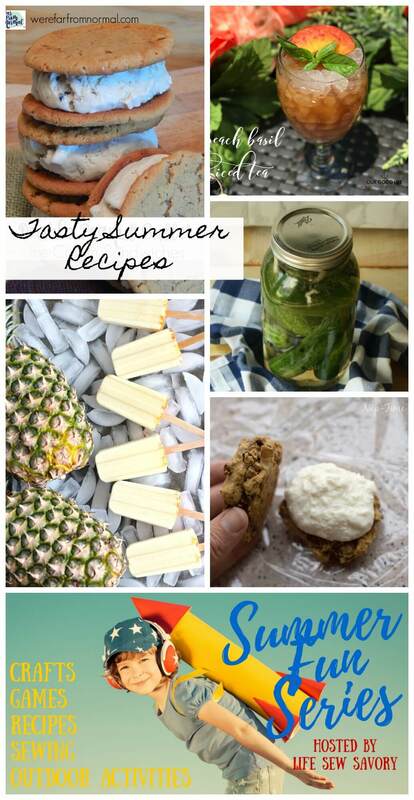 So those are a list of my favorite summer projects for sewing and DIY.. what would you add? 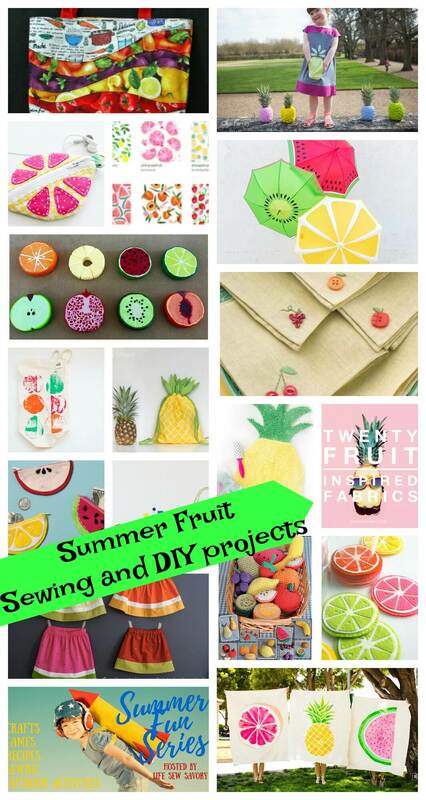 I think maybe next summer we need to have a sewing series inspired by summer fruit! !